A heavenly rich organic espresso, smooth and slightly sweet with winy undertones and a dry, gentle finish. Amazing flavour. This is my favourite espresso and I’m so excited to see it being sold online. 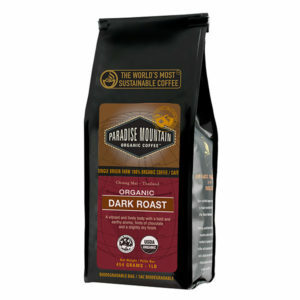 I have been a Paradise Mountain customer for 4 years and it is the only coffee I drink. Tried over 200 types/brands/brews of coffee and this tops the list no question about it! Keep up the rockin roast fellas.